The city of Austin is not only the capital of the great state of Texas, but it is also known as the "Live Music Capital of the World". This city seems to have everything: music, film, art and shopping center, a variety of cuisine from around the world, a perfect place to hang with friends or family, and other things that you just have to experience for yourself to truly understand what makes Austin so unique. So if you are planning to visit Austin and you are looking for a convenient, modern, and reasonably priced place to stay, you should consider the Residence Inn Austin Downtown/Convention Center. This hotel offers brand new modern amenities with true Texan hospitality. The newly-remodeled Residence Inn Austin Downtown/Convention center is in the heart of downtown adjacent to the Convention center and within walking distance of the famed 6th Street and Warehouse Entertainment District. Guests love this ideal location with easy access to all of Austin’s favorite destinations including the State Capitol and the University of Texas. 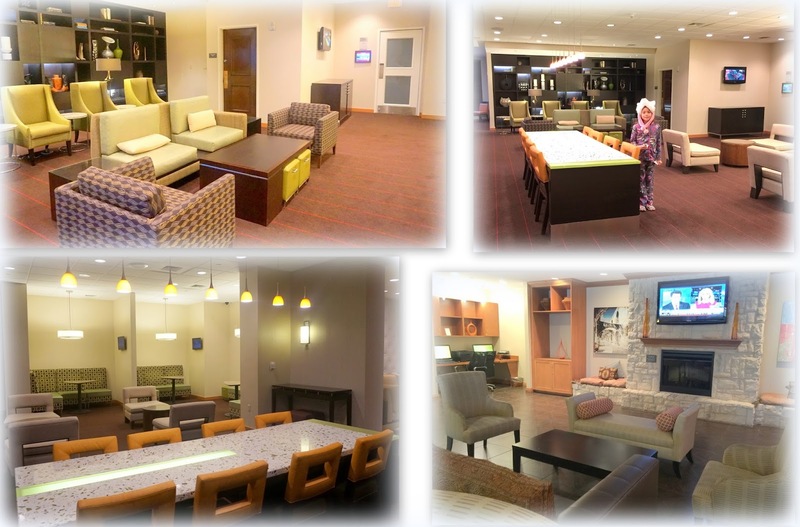 The remodeled lobby features trendy designs and comfortable seating areas in the Gatehouse that are perfect to catch up with family and friends. This hotel offers apartment-style suites 50% larger than traditional hotel rooms featuring fully equipped kitchens, separate living and sleeping spaces and pull-out sofas. Not to mention, the best of pet-friendly hotels in Austin, TX. My family and I got the opportunity to spend two nights in a comfortable spacious 2-bedroom corner suite at the Residence Inn. Each bedroom has a queen bed with a separate living area and a large window overlooking the city. Each bathroom feature a well-lit vanity area and a spacious shower/tub. What I love most about this room is that it's completely furnished! It has a kitchenette with refrigerator, cooktop stove, microwave, and coffeemaker along with fully stocked cookware and utensils. Not to mention, it has a small dinette table and chairs, a living area, FREE wireless high speed internet connection, and 3 flat screen TVs. To ensure your day starts and ends on a good note, the Residence Inn Austin Downtown offers a free daily hot breakfast and a free evening social (Tues-Thurs) featuring beer, wine and light appetizers. 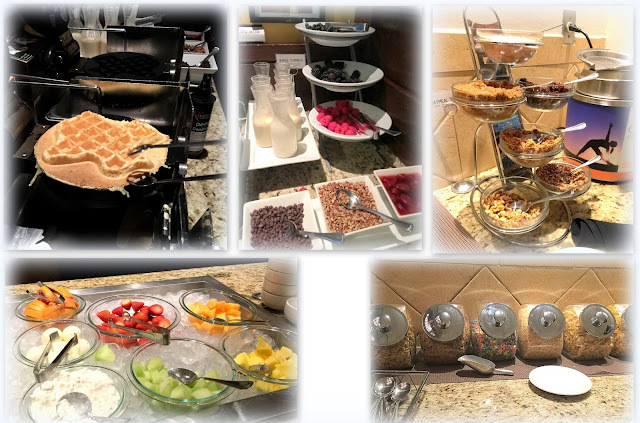 The Champions Restaurant & Sports Bar offers bountiful breakfast buffet served daily with a complete selection of hot and cold items. I thought the food selection was amazing! 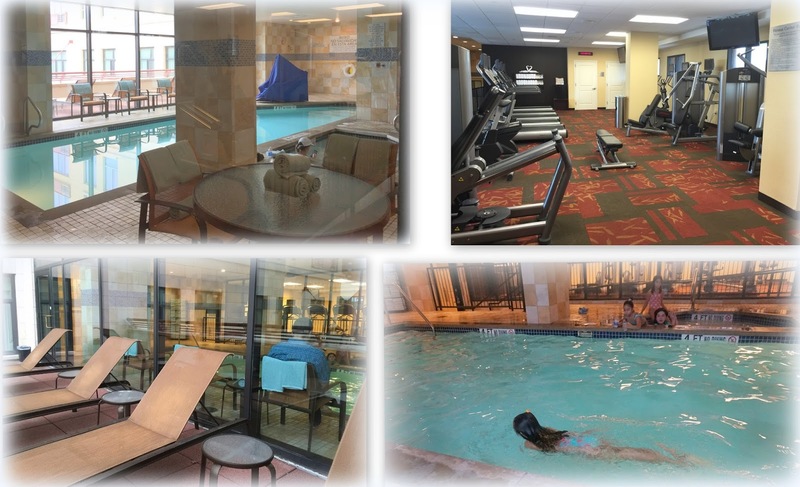 Guests can also lift weights in the fitness center, relax in the whirlpool tub, and do some laps in the heated indoor pool free access 24/7. Our daughter took advantage of the heated indoor pool and enjoyed swimming a few laps. I have to mention that there is no lifeguard on duty, so make sure your child is supervised. Overall, my family and I had an excellent experience and would definitely recommend this place to everyone. We were very impressed by every aspect of the hotel. Everyone from the valet, housekeepers, and front desk personnel were very helpful and accommodating. The best place to stay in downtown Austin, whether for business or pleasure. For more details or would like to book a room, you should visit marriottaustindowntown.com. Don't forget to like them on Facebook or follow them on Twitter for updates and promotions. So what are you waiting for? Disclosure: We received a two-night complimentary accommodation to stay at Residence Inn by Marriott in Austin, Texas in exchange for a fair review. Hyatt hotels are so nice. I Have always had good experiences when I have stayed at them. I love hotels that have a indoor pool and yummy food like this. I need to check this one out. I have always wanted to go to a Marriot hotel their spa facilities are first class! I'm not sure I've ever stayed at a Residence Inn before, but I love Marriott properties so I'm sure I will before long. The rooms look so good and so do the food! It would be nice to stay at a Marriott hotel and spend the weekend sleeping in! Lol. If I'm ever in the Austin area, this is definitely at the top of my list for a place to stay! I love how they have so many amenities! A hot breakfast is definitely a must for our family! This looks like a great place to stay. There are a lot of amenities and the food looks great. I love the look of the remodeled Residence Inn. It would be a great place to stay. This is great place to stay all night, love the view and all of these photos. I love Austin! Such a fun City! My son goes to UT and we always have such a great time when we visit! Austin is so fun! I don't think we stayed in a Marriott though, because I would have remembered that awesome pool and gym :). What a great hotel!! I so need a vacation!! Looks like a great place to stay. I love staycations and the Residence Inn by Marriott seems like a lovely place to stay. I am impressed by the photos you've shown and I will keep Residence Inn in mind for my future trips. I'd love to stay. And the food in the restaurant looks great too! What a beautiful hotel! I would love to visit Texas! I am a huge Marriott fan. This hotel looks fantastic. How lucky you get to travel to such great places! I love the size of their rooms and the breakfast food looks great!